BY THE THIRD DAY of driving my family through the U.K. on a vacation this August, I felt at ease and in charge. I’d driven on the left side of the road years before, and after a few shaky moments remembered how it was all done. With the BBC’s website optimistically forecasting good weather, I was looking forward to three days in Devon, at the border of the English national park of Dartmoor. But—as in “The Hound of the Baskervilles,” which is partly set on the brooding, beflowered moor—a challenging and even perilous adventure lay in wait. On previous U.K. trips, I’d kept to major routes and found little difference between the width of the roads at home and those in Britain. 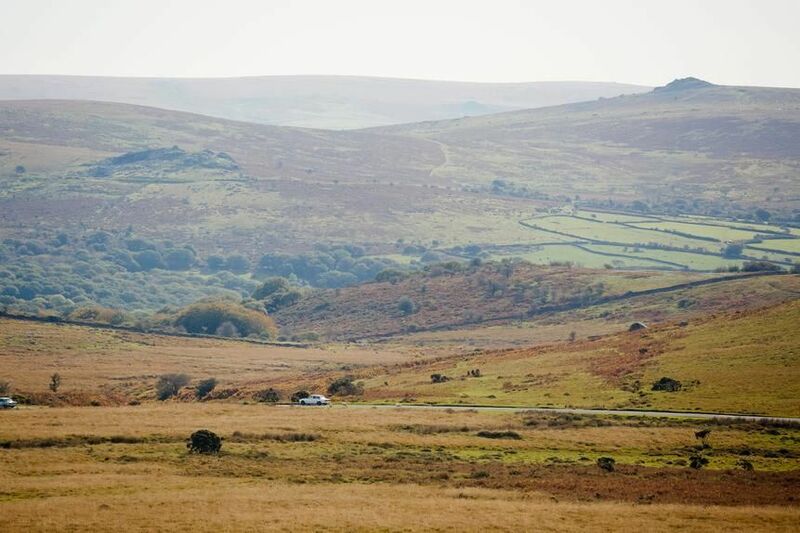 But Dartmoor—and Devon generally, like many other parts of Britain—is crisscrossed with two-way roads wide enough for just one car. They might look quaint when glimpsed in a landscape shot on “Masterpiece Theatre,” but when you’re actually negotiating them, you need a whole new set of driving skills. A typically narrow lane in Devon. Signs of the challenge began soon after we left the Devon Expressway, having driven roughly five hours southwest from London. The lady who announces Google Maps’ directions so confidently sent us down increasingly smaller roads, finally shepherding us onto a lane that might have had trouble accommodating two bicycles side-by-side. Tree branches brushed against both sides of the car. A few minutes later we arrived at the lovely Ilsington Country House Hotel, to begin our three-night stay. “In my experience driving in different parts of the world, some of the country roads in the U.K.—particularly in Cornwall, Devon, Wales and Scotland—are some of the narrowest roads in the world,” said Edmund King, president of Britain’s Automobile Association, who lived several years in the U.S. Many of these roads date back centuries, originally meant only to provide access to farms. To enable two-way traffic, passing spaces have been set up on the one-lane roads. So when two cars encounter each other, one of them must retreat to a passing space. An etiquette has arisen as to which car gives way, depending on such things as the nearness of each car to the passing area and the age and experience of the driver. Of course, some heedless drivers ignore the etiquette and barrel through first. Dartmoor is more than 350 square miles of gently rolling hilltops topped with granite outcroppings. To complicate matters, many of these roads are lined with rich greenery that deceptively hides car-hostile drainage ditches or stone walls. Satellite-navigation systems have compounded the problem, Mr. King said, since they send hordes of tourist drivers down narrow-road short cuts they would have otherwise been unaware of. In the end, though, the motorist’s challenge is the visitor’s delight. Dartmoor is more than 350 square miles of gently rolling hilltops topped with granite outcroppings. It features glades, cascading rivers, peat bogs, woods and Neolithic sites. After a walk through yellow gorse and purple heather, my wife reasonably suggested driving to a beach: After all, Ilsington is less than 15 miles from the English Channel as the crow flies. But crows needn’t deal with the one-lane road Google Maps sent us on. I put on speed, trying to rush through the one-lane section as fast as possible, before that oncoming car brought me up short. No, two cars. Three. And two were behind me. When the cars behind me had backed up, I went into reverse and tried to pull into a narrow “space” that proved inadequately spacious. This meant more maneuvering between forward and reverse gears until a warning sign chastised me: I’d overheated the gear transmission. Though I finally found a space, I was bathed in sweat and distracted by visions of the car picturesquely burning up. 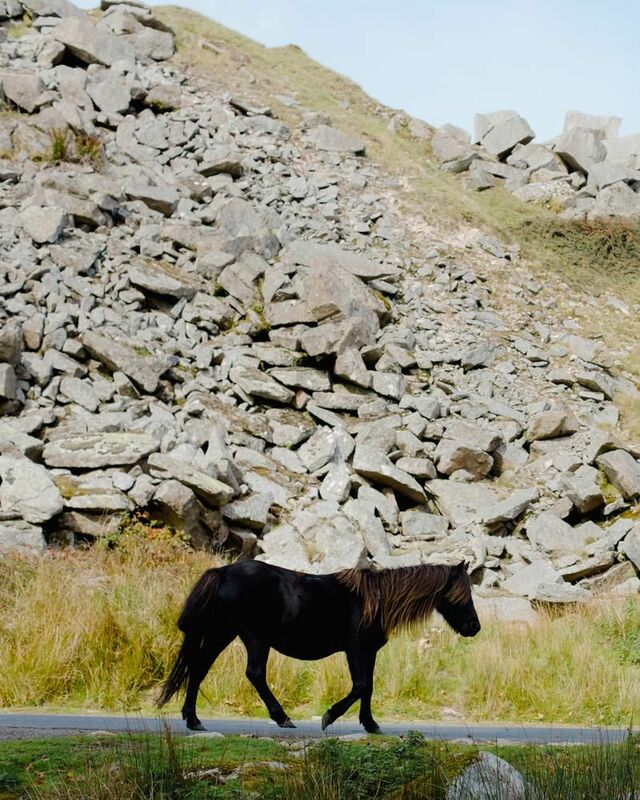 A pony walks along a road in Dartmoor. Ben Mostyn for The Wall Street Journal. Eventually the transmission warning relented, the other drivers passed me honking furiously and my daughter put on her headphones. As for the sea, that day it flowed without us. Over the next couple of days, we returned several times to the moor. To get a full sense of it, you do need to undertake some driving, combined with walks over a soft bed of living and dead plants. The toppings of weathered stone offered enormous views of this hauntingly quiet and mystical landscape. I even found a partial solution to the road problem: Ditch the satnav and check the maps for the wider roads, identified by numbers preceded by A or B. This will not get you to all of Dartmoor, and some roads, like A382, keep sneaking back to their ancestral one-lane habits. But sailing along the B3212 from Two Bridges to Moretonhampstead will provide more than enough lonely vistas, road-hugging sheep, native ponies—and motoring Zen. The Ilsington Country House Hotel. 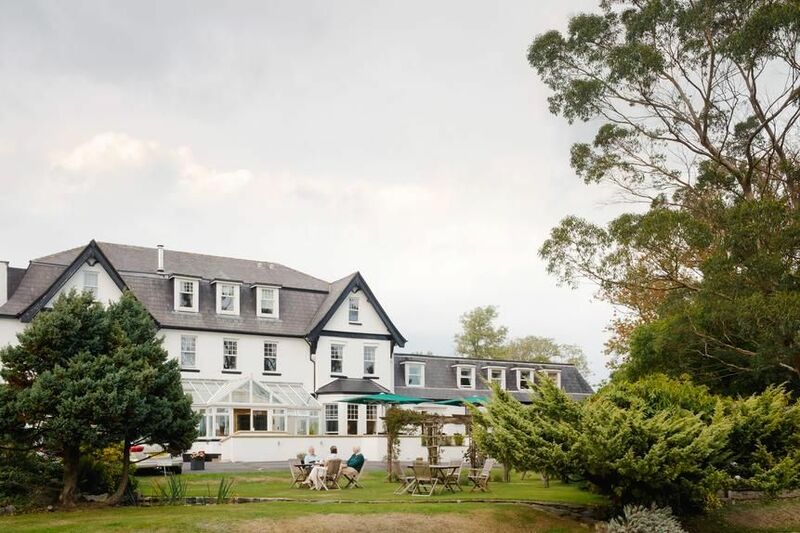 Staying There: The Ilsington Country House Hotel—perfectly located a five-minute drive from one of Dartmoor’s most famous outcroppings, Hay Tor, on narrow roads, of course—stays open throughout the year except for a two-week stint in January. At this point, July 2019 rates for one of the 25 rooms range from £155 to £240, including breakfast in a room with huge windows overlooking Hay Tor. Off-season rates are considerably lower. The staff worked hard to accommodate two people with fairly severe dietary restrictions. Summer Travelers fearing a repeat of Britain’s heat wave this year may want to request an air-conditioned room. We loved the pristine 36-by-16-foot indoor pool, included with the room price and part of a spa that offers a hydrotherapy pool, a fitness suite, a steam room, a sauna and a menu of treatments. One warning: Pool rules limit children’s hours. A bistro complements a more formal, fine-dining restaurant. There are few parts of this hotel without a striking view of the moors or environs, and the Wi-Fi worked fine for us.